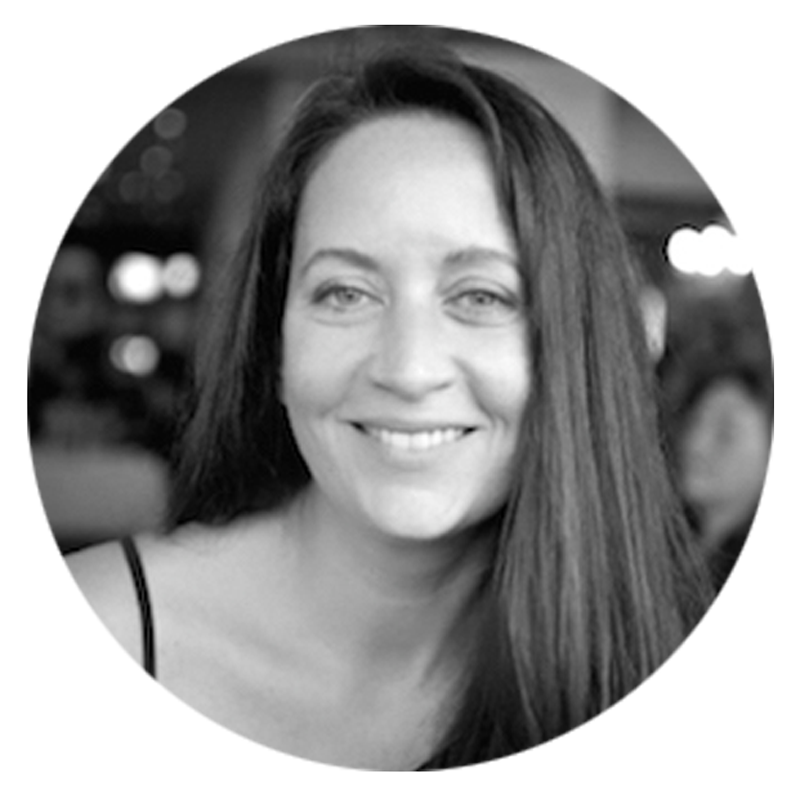 Cape Town born and educated, Camille studied public relations and journalism and has over 13 years’ experience in the corporate hospitality. She worked as an adviser to The Afri-CAN Cafés in Malawi and it’s through this work that she recognized the benefit that such initiatives could have in South Africa and as a result pioneered the Afri-CAN Children’s Charity in Cape Town. Camille’s belief is that education is at the heart of developing children from sub-economic areas, giving them the best chance of escaping the cycle of inequality that they are born into. Cami believes that developing the foundations for education will prepare children for the future and in turn will make stronger generations. Cami’s passion for the children and the charity is incontestable and contagious and it is this, along with her genuine compassion, zeal and purpose that continues to be the driving force behind the continued reach of the ACC and its impact. 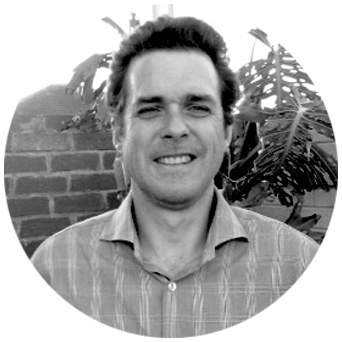 Born and raised in Cape Town, Robert has broad-based experience providing management accounting support and tax administration to various nonprofits and for-profit companies in and around Cape Town. He worked in the United States for six years and comes with a wealth of knowledge in this area. Robert’s passion is to support business growth and development through providing financial information for business decision-making. His involvement with Afri-CAN Children’s Charity is exciting to him – for the hope that it’s providing for children but also for the opportunities it provides the teachers and principals to grow in skills and training. Tawanda was born and raised in Harare, Zimbabwe. He graduated from Speciss College in 2003 and started working for Cimas Medical Aid Society in 2005. In 2008 he relocated to Cape Town in search of a better standard of living for his family. He worked as a gardener, painter, construction labourer, pest control assistant and sales representative. While working as a sales representative for Classic Home Improvements, Tawanda was assigned as project manager for their client, Afri-CAN Children’s Charity. He was tasked with evaluating ECD Centres that had the potential to join the Afri-CAN Children’s Charity programme, assessing what the ECD Centres needed to become compliant with regulatory bodies and then getting their infrastructure compliant for registration. 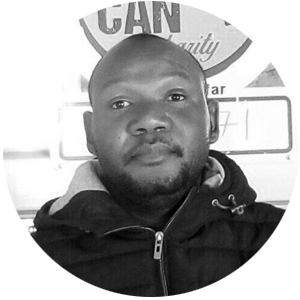 During this project he became very passionate about ECD Centres and when the opportunity arose to work for Afri-CAN Children’s Charity, Tawanda did not hesitate. He is involved in the School Meal Programme and in impact evaluation. Nosiseko (“Nosi”) has a passion for working with young children, and volunteers at various community initiatives to facilitate education, homework and after-school care. She has worked as a teacher’s assistant at Oranjekloof Moravian Primary School in Hout Bay, as assistant coach for the girls’ soccer team, Happy Hearts, and as team leader for the City of Cape Town’s Sport and Recreation department. 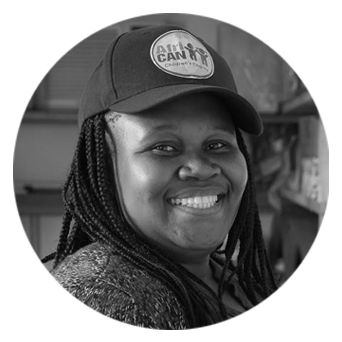 She is an active role player in the development of the Hout Bay Imizamo Yethu community and loves to inspire economic independence, encouraging both young and old to become self-employed entrepreneurs. Nosi is on the Board of Thula Thula, an organisation that facilitates disaster relief in Hout Bay. She heads up the Afri-CAN Hout Bay ECD Centres. 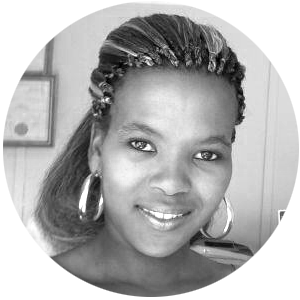 Cleo was born and raised in Zwelethemba, Worcester a small town outside Cape Town. She graduated in 2007 and understands the importance of education and proper nutrition from first-hand experience. She is passionate about being part of a team that is helping children get ‘School-Ready’ at the most important stage of their lives. As a dedicated member of the ACC team, her key focus is on improving communication channels with our ECD Centres . She is also a vital part of us being able to accurately report on our direct impact by helping us measure all KPI’s on a daily basis. Cleo is a single mother and loves children and when the opportunity came to work with the Afri-CAN Children’s Charity team she grabbed it with both hands. She has quickly became a pivotal part of the charity and is working everyday on the ground with our ECD Centres owners, teachers and children. Her hard-work ethos and genuine love for the kids, teachers, principals, peers and suppliers has been invaluable to us reaching our goals and objectives more easily. She has taken a lot of pressure off our small team. And we value and appreciate everyday she has been with us.